Here’s something you don’t see everyday. A real deal 1965 Pontiac GTO 389 Tripower is being offered by a classic car dealer for half the normal price. Savor the moment. That’s what was published in the Cars-On-Line.com newsletter today. We could hardly contain ourselves this week. 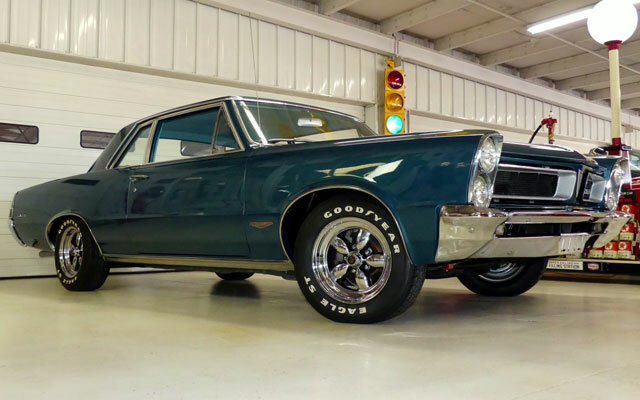 A 1965 Pontiac GTO with a 389 and a Tripower has been listed for a very affordable price. (Click here to view the ad copy and dozens of photos.) Yes, a real Tripower car, according to Cruisin’ Classics, the classic car dealer who posted it for sale. They hail from Columbus, Ohio and they have posted this incredible walk-around video of the car. You have to hear it rumble with those Tripower carbs revving. This is a real sweet and clean muscle car with all the numbers to document it, and it comes with the Pontiac Historical Society report. It doesn’t get any better than this for Pontiac enthusiasts. 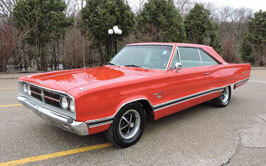 Here is a real 1965 Pontiac GTO 389 Tripower for a great price. It will be our DEAL of the DAY on Saturday because the asking price is only $29,995. We can’t believe it either. This is a banner week for low price bargains. The Deal of the Day preview gives you first shot at all the cars that will be highlighted on the Cars On Line home page this week. Often these cars sell in the newsletter before they even make it to the home page! You’ll always see them here first though. Follow this link to preview all of the Deals of the Day for the coming week.